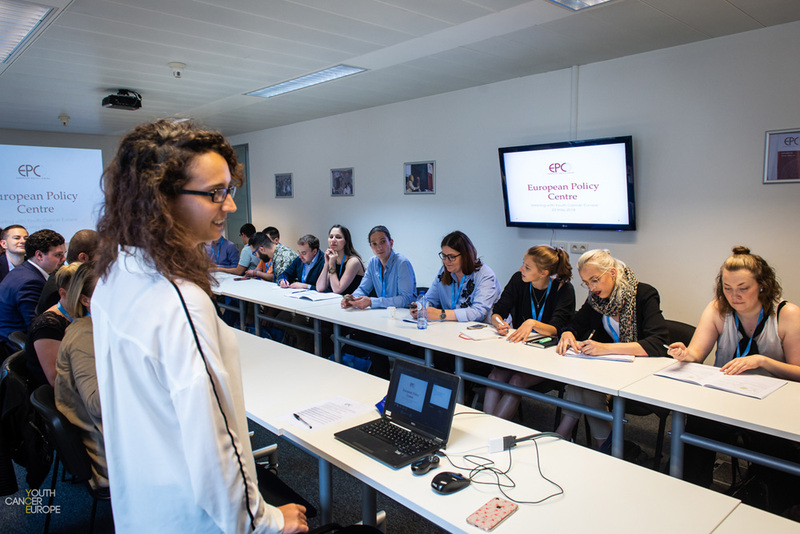 At the end of May 2018, Youth Cancer Europe successfully wrapped up a 4-day induction week on the Fundamentals of EU Policy Making in Brussels, Belgium. 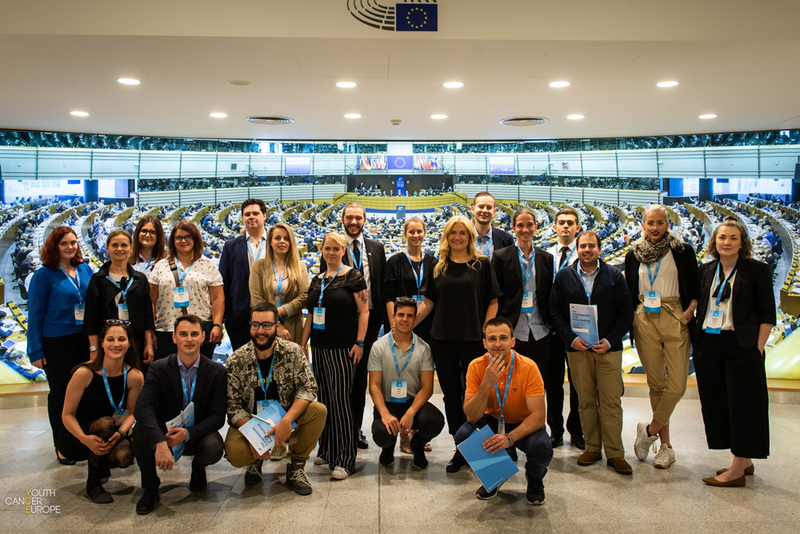 25 cancer survivors from 16 European countries, all of whom are active members of their own cancer organisations in their respective territories, gathered in the capital of Europe to attend a series of workshops, panel discussions and meetings. The sessions included visits to the European Commission to meet with Arūnas Vinčiūnas, the Head of Cabinet for Vytenis Andriukaitis (DG SANTE); a meeting with Finnish MEP Sirpa Pietikäinen; a workshop with Alexander Kvitashvili (former Minister of Health for Ukraine and Georgia); as well as discussions with experts in global health policy. Additional highlights included meetings at the offices of Transparency International, the European Patient Forum, the European Federation of Pharmaceutical Industry Associations (EFPIA), the American Chamber of Commerce and the EU office of the Stockholm region, where participants gained first-hand insight into the importance of collaboration between different organisations and the impact that regional offices have when lobbying for EU policy making. The aim of these meetings was to empower young cancer activists across the continent with the necessary knowledge and tools to effectively lobby for policymaking that directly affects the care and quality of life of young cancer patients and survivors at a local, regional and national level. 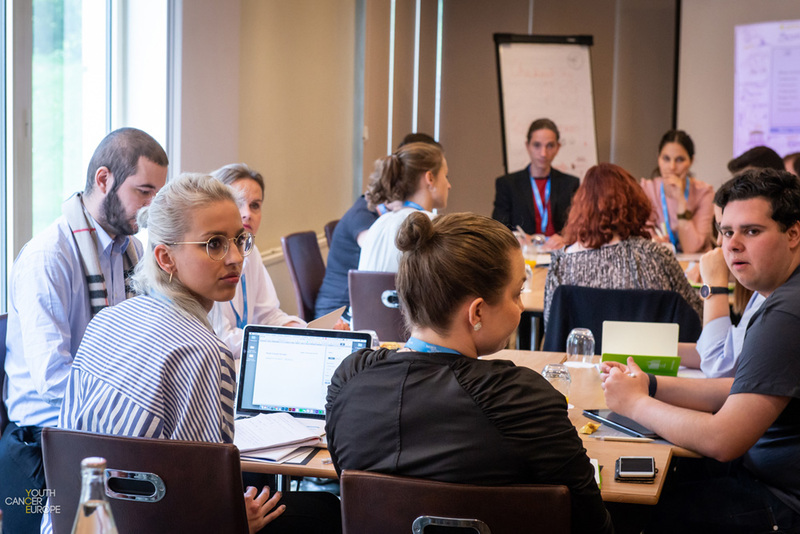 The conference’s closing meeting also saw the write-up of a white paper that will lead the next steps for Youth Cancer Europe and its member organisations in the fight for better care for youth living with cancer and beyond. Some of the key issues discussed which concern young cancer patients and survivors around Europe included revisiting the cross border healthcare directive and its implementation, fertility preservation ahead of cancer treatment, discrimination in access to fundamentals such as insurance and mortgages years after finishing treatment and guarantee of income and benefits while undergoing treatment. Šarūnas Narbutas, Youth Cancer Europe Chairman and President of the Lithuanian Cancer Patient Coalition (POLA).